The granting of authorisations by the US to certain EU Member States regarding the temporary purchase of oil from Iran does not put EU’s commitment to defend the Iran nuclear deal, in its own security interests and the wider security of the region and the world, into doubt, a European Commission spokesperson told New Europe on November 6. “We would not otherwise comment on the individual agreements reached between certain EU Member States and the US,” she said, asked about the exemptions. US sanctions against Iran came back into effect on November 5, but Secretary of State Mike Pompeo said Washington gave oil import exemptions to eight countries and allow them to temporarily continue buying Iranian oil. The US gave 180-day exemptions to eight importers – China, India, South Korea, Japan, Taiwan, Turkey as well as EU-members Italy and Greece, Reuters reported, noting that this group takes as much as three-quarters of Iran’s seaborne oil exports, trade data shows, meaning Iran will still be allowed to export some oil for now. 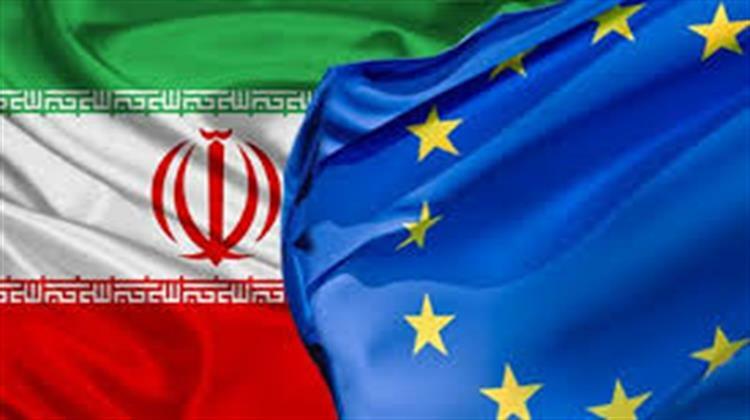 The spokesperson stressed that the EU deeply regrets the full re-imposition of sanctions by the US, due to the latter’s withdrawal from the Joint Comprehensive Plan of Action (JCPoA), commonly known as the Iran nuclear deal. The EU spokesperson reminded that the Iran nuclear deal, which was unanimously endorsed by the UN Security Council, is a key element of the global nuclear non-proliferation architecture and crucial for the security of the region, for Europe and beyond. “It is working and delivering on its goal, preventing Iran from developing nuclear weapons,” the spokesperson said, adding that the International Atomic Energy Agency (IAEA) has confirmed in twelve consecutive reports that Iran is abiding by its commitments under the Agreement. The EU remains committed to implementing the JCPoA as a matter of respecting international agreements and shared international security but also expects Iran to play a constructive role in the world and to continue fully implementing its nuclear commitments. To preserve the agreement, the EU has been and is putting in place concrete solutions to a number of issues stemming from the US withdrawal. “Part of our ongoing work is to make sure that the effects of the sanctions are minimised for the companies that want to continue to do legitimate business with and in Iran and that they can still have access to the necessary finance,” the spokesperson said, adding that Brussels updated its Blocking Statute in early August, before the first batch of US sanctions was re-imposed. In close coordination with the Member States and other partners, the EU is also working on other concrete measures aimed at sustaining the cooperation with Iran in key economic sectors, particularly on banking and finance, trade and investment, oil, as well as transport. This includes the ongoing work of our Member States to set up the Special Purpose Vehicle, the spokesperson said, noting, however, that at the same time, the EU is also committed to maintaining its cooperation with the US, who remains a key partner and ally.